Confession: I am a self-help junkie and love reading books that will help me become a better person inside and out. Today I am reviewing the book, “Organizing for your Lifestyle”, from Jane Stoller. I found it very interesting to read about the science to creating an organized lifestyle outlined by a single, young woman from another country that likes to travel for both business and pleasure. 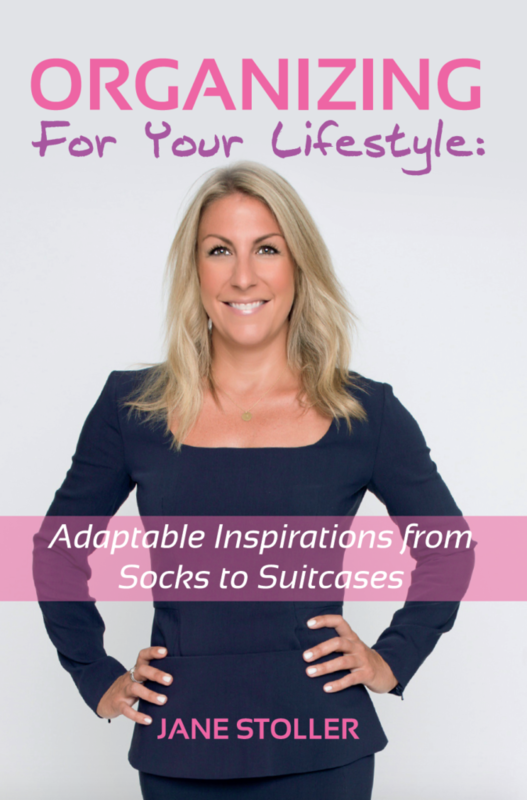 She has tips for organizing your home as well as your suitcase. Surprisingly, although our lifestyles are extremely different along with our budgets, we have both moved several times and learned the art of adapting and creating an organized home regardless of the space constraints. Using things like combination boards from Office Monster can help to keep your home in check thus enabling you to keep on top of any jobs that need to be done. I really enjoyed Jane’s insights behind the science of getting organized as well as her tips shared throughout the book. I have already incorporated a lot of her ideas into the organizing activities happening in my home. I was slightly disappointed that she left out a section pertaining to the living room which is the epicenter of my home where we spend most of our time. It’s the one spot that gets the most disorganized however, it will be easy to take ideas from other sections of the book and adapt them into a plan of my own. Jane’s book has a whole chapter dedicated to designing and organizing closets. 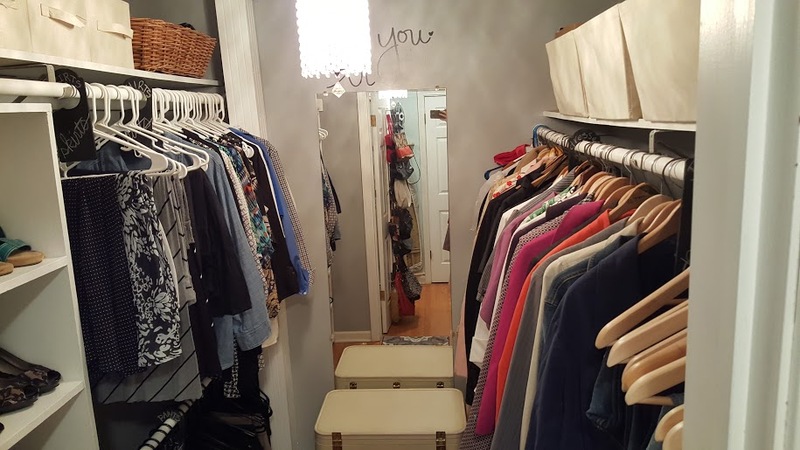 Unlike her $10,000 dream closet, lack of funds was definitely why I was able to complete a $100 room makeover challenge that really stretched my imagination and my limited budget. With my $100 budget I chose to makeover my master bedroom closet and I was well under budget because I used what I already had and shopped my house for supplies and accessories. Here are some great tips for organizing the closets in your home. My pantry was a total mess and I had an unknown problem with buying pasta because I never knew what was in the pantry. Each week I would toss another box of pasta into the shopping cart and suddenly I had 18 boxes of pasta in the pantry. I did a complete pantry makeover and spent a whole weekend decluttering and organizing this ridiculously tiny closet that serves as our pantry. 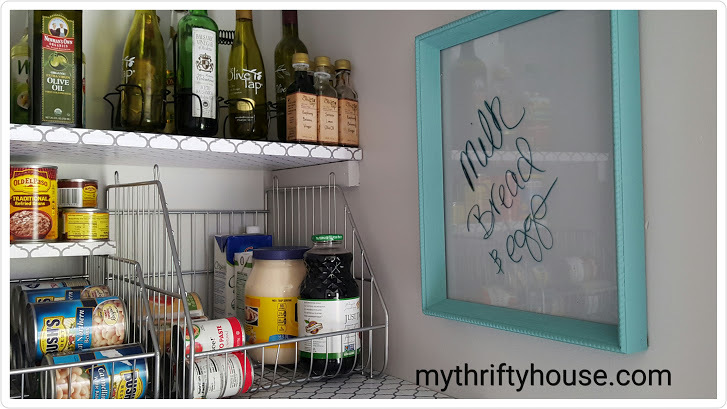 Just like Jane mentioned in her book, being organized will save you time and money and I have seriously saved some money by getting the pantry and my grocery list organized. 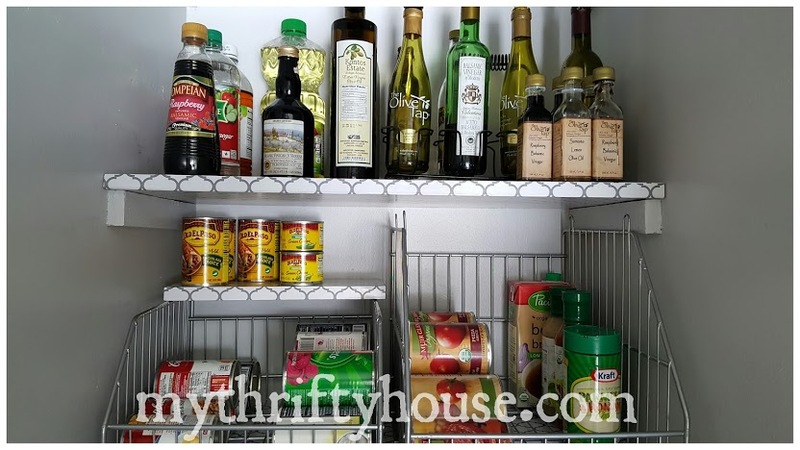 Here are some more tips for organizing your kitchen and pantry. Jane’s book has motivated me to take on the task of organizing my master bathroom and the dreaded linen closet. Here is my project checklist and I will come back and update as each item is completed. Here are some other ideas for decluttering and organizing your bathroom and linen closet. For those of you completely overwhelmed by the thought of where to start my advice is to focus on one room at a time and break it down into smaller projects that are easy to manage. If you have little, quick success projects it will help you maintain motivation to see the project through until the end. 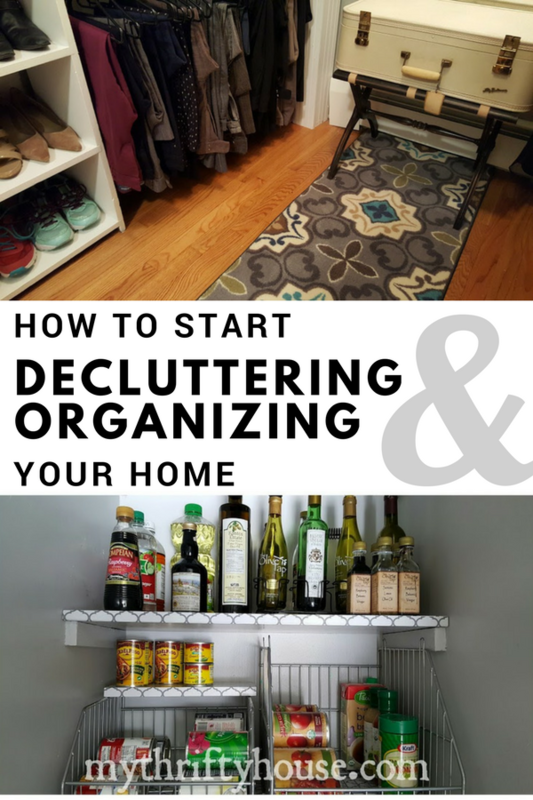 Hopefully, these ideas will motivate you to get started with your decluttering and organizing projects. This entry was posted in DIY Projects, New Years and tagged organization. 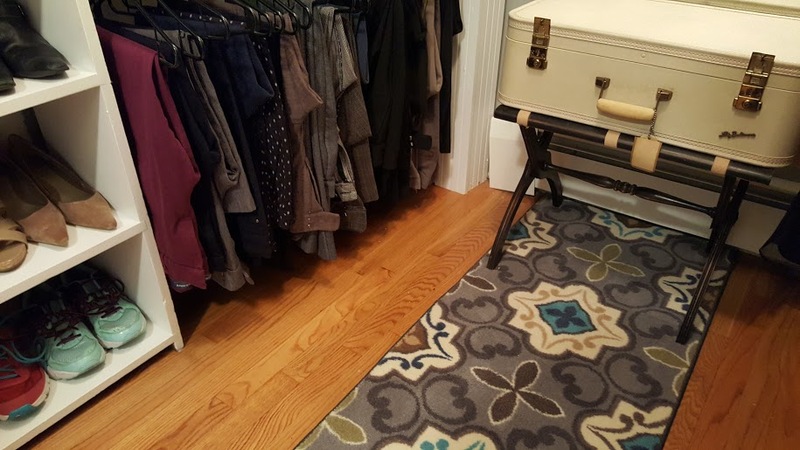 I’ve read your organizing your closet post when you published it a couple of months ago and I found it such a great challenge! Awesome job!! I’m always interested in ways to declutter. It seems I bring new things home but don’t get rid of old things. I’m trying the one in one out rule. Right now I’m getting ready to get rid of some Christmas decorations that haven’t been used in years. Wish me luck!! That’s a great rule. I do that with my shoes….when I buy new shoes I get rid of a pair. Sticking to one room or even one area in a room at a time is great advice. It is so easy to become overwhelmed or to bounce between rooms, and then nothing gets done. I have been guilty of bouncing around room to room. Now I just pick on room and focus all my efforts to that one space. Here is my organizing tip…… at the beginning of each year, that would be in the next few days, I flip clothes on hangers. Typically, all of my hangers face the same direction, that is with the open part of the hanger facing away from me. I flip all of my hangers to hang in the opposite direction. When I re-hang the clothes, after washing, I hang them in my typical diresction. Any clothes on hangers still facing the opposite direction at the beginning of the new year, stands a great chance of being donated. I get easily overwhelmed but I think starting with a small project like a closet seems reasonable! Yes, a closet or pantry is an easy project for most to get started. This has motivated me to start with our front hall closet. Now’s a good time of year to give away those coats that don’t fit my kids anymore. One step at a time! This is on my list of things to do today. I had the best day yesterday! I finally took all of our old paint to the recycling center. I cleared out an entire cabinet in the garage. Decluttering is cathartic! Yes! This is on my list of things to do as well. I love organizing and decluttering. It really gives you a peaceful feeling when things are where they belong, and you can actually find them when needed. I also like the calm of a nice decluttered and organized home. It’s a constant struggle tho, and I’m hoping to pick up some tips to stop the battle. The garbage can and yardsale/donation piles are my friends!!! I need to have a designated “get rid of box” to fill throughout the month. 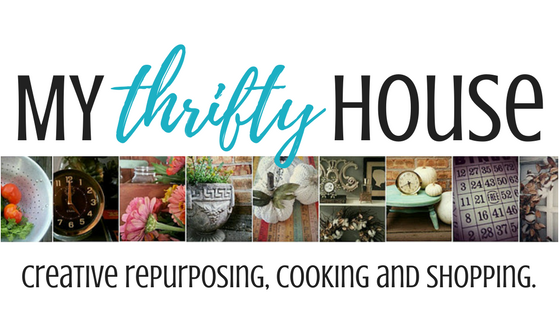 The most thrifty and economical thing to do is shop your house. I get to give new life to previously purchased or discarded pieces. I have so many closets that are a jumbled mess, and for two people we have too many bath towels (like 16) and I won’t bore you with my pantry woes 😅 I will be focusing on purging and organizing this month. Thanks for the tips! Right now my pantry and crafty area need help! One room at a time! Happy New Year. I wanted to do the 40 BAGS IN 40 DAYS DECLUTTERING CHALLENGE during Lent that you posted last year. But of course I didn’t complete it. I thought I might try it this year and just start in January even though Lent doesn’t start until February 14. Hopefully I’ll get a jump start 🙂 and actually declutter / reorganize my house. Happy New Year! Thanks for the motivation.